The beautiful exhibition Mary Cassatt, une impressionniste américaine à Paris, highlights the extraordinary talent of the artist and the place she holds in Impressionism. Her talent for pastel probably surpasses all the rest. 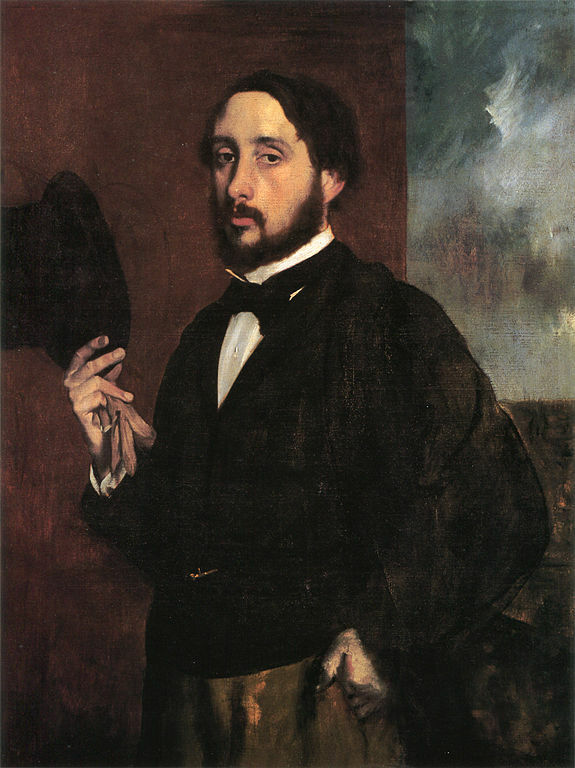 The comparison with Degas is necessary. The exhibition obviously could not ignore this link between the two artists. Mary Cassatt wrote in 1925: "The first time I saw Degas' paintings, this was the turning point in my artist life". 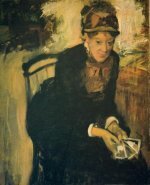 The exhibition therefore proposes to see the famous Portrait of Mary Cassatt painted around 1877-1878 to day at the National Portrait Gallery in Washington. It represents Mary Cassatt leaning forward to examine photographs. She finds Degas's portrait "disgusting". 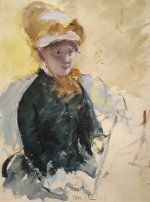 Also exhibited is this self-portrait by Cassatt with gouache and watercolor on paper painted at the same time that is strongly reminiscent of Manet. Nice idea to exhibit them together !